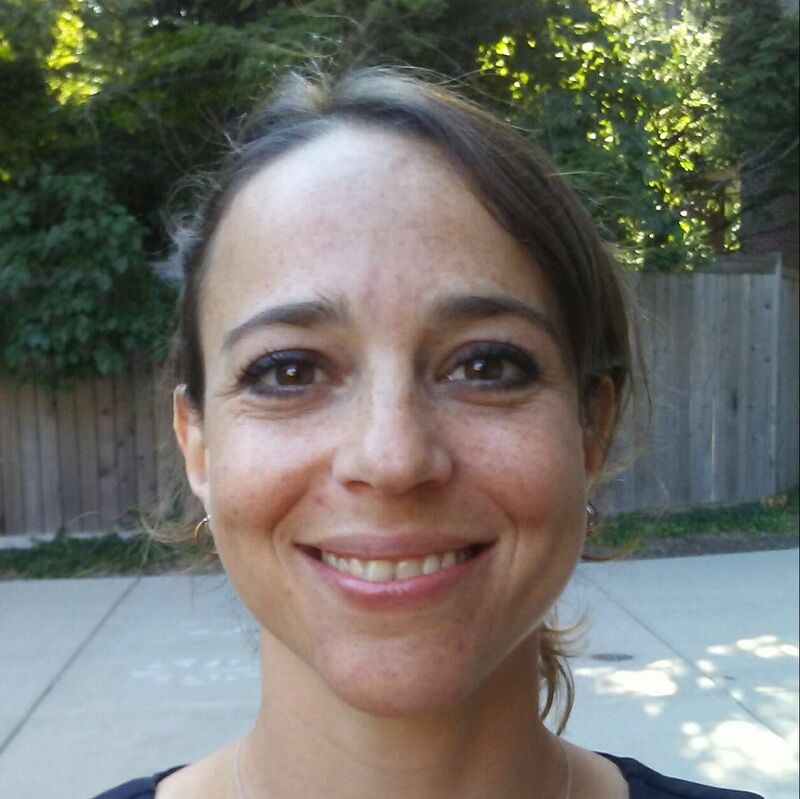 Paulina L. Alberto is Associate Professor in the Departments of History and of RLL. 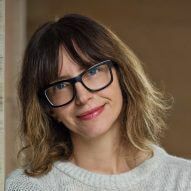 Her current research explores the power of racial stories to construct “whiteness” and “blackness” in twentieth-century Argentina and to shape individual fates. For the Afrikaans-Argentine Collaboratory project, she's serving as a historical consultant on issues of race and national identity in twentieth-century Argentina. Andries Coetzee is a linguistics professor at the University of Michigan, specializing in phonetics, phonology, and language variation. He is a native speaker of Afrikaans, and therefore contributes to the Afrikaans components of this project. He also brings cultural and historical knowledge about South Africa to the collaboration. 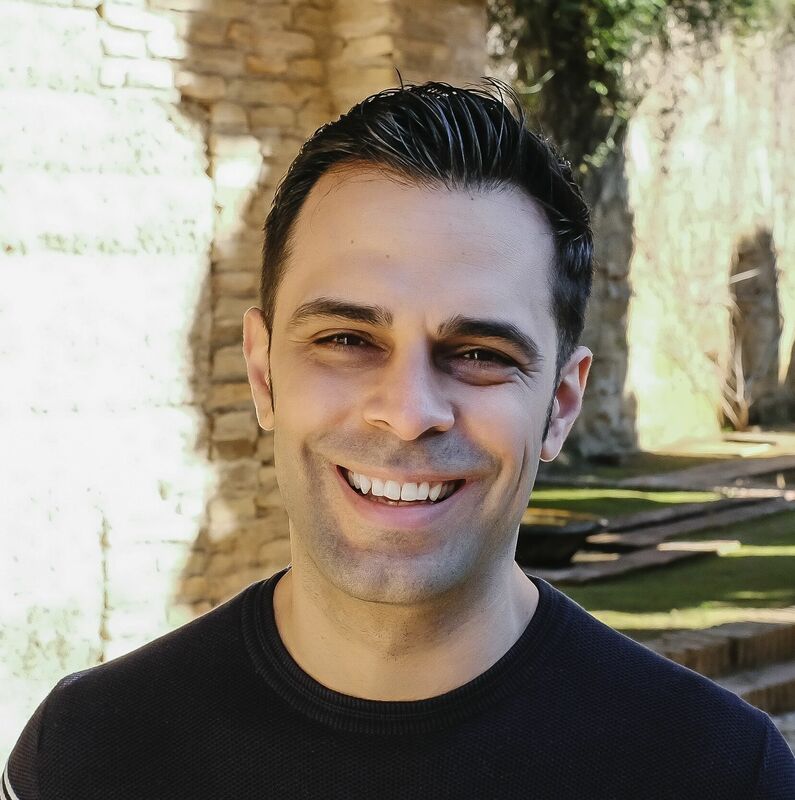 Lorenzo García-Amaya is Assistant Professor in RLL. His research focuses on the development of fluency and cognitive abilities by second language learners and how cognitive processing abilities affect second language speech development. For the Afrikaans-Argentine Collaboratory project, he spearheads the in-depth fluency analysis of the bilingual speech community. Nick Henriksen is Associate Professor in RLL and Linguistics. 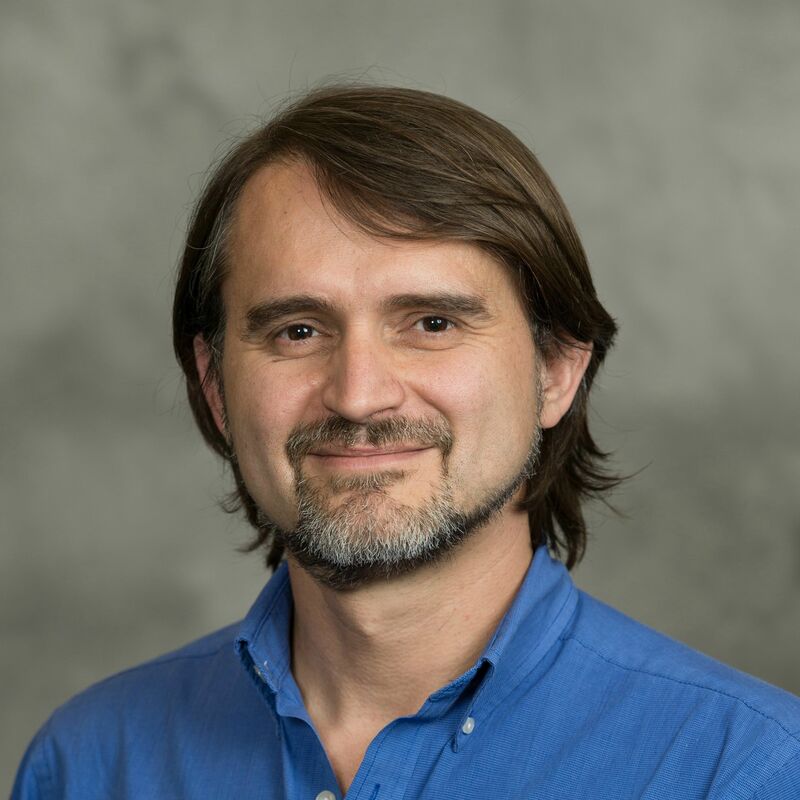 As the Principal Investigator of the Afrikaans-Argentine Collaboratory project, Nick oversees all research and mentoring activities, and also establishes the guidelines for the collaborative workflow. His research focuses on phonetics, phonology, and language variation across varieties of Spanish. For the Afrikaans-Argentine Collaboratory project, he analyzes the hybrid nature of the bilinguals' phonological systems. Kate Jenckes is Professor of Spanish in the Department of Romance Languages and Literatures at UM. She has authored two books on Chilean and Argentine literature and culture. For the Afrikaans-Argentine Collaboratory project, Kate is serving as a historical and cultural consultant on issues of national identity in twentieth-century Argentina. 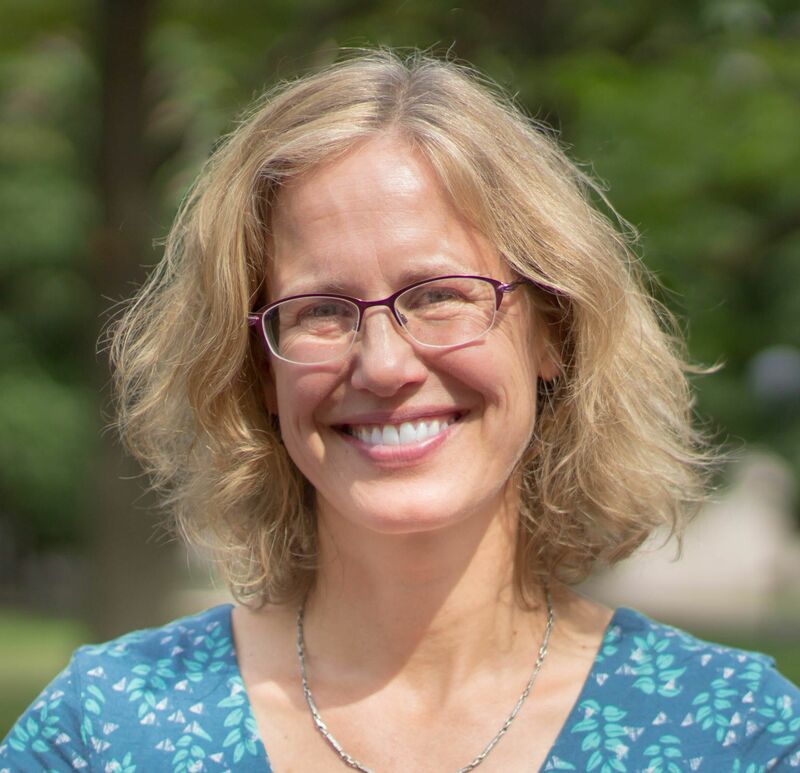 Victoria Langland is Director of the Center for Latin American and Caribbean Studies at Michigan, and is Associate Professor in the Departments of History and RLL. She specializes in twentieth-century Brazilian and Southern Cone history. For the Afrikaans-Argentine Collaboratory project, Victoria offers critical insight into contextualizing our research within the broad landscape of twentieth-century Latin America. Ryan Szpiech is an Associate Professor in Romance Languages at the University of Michigan. 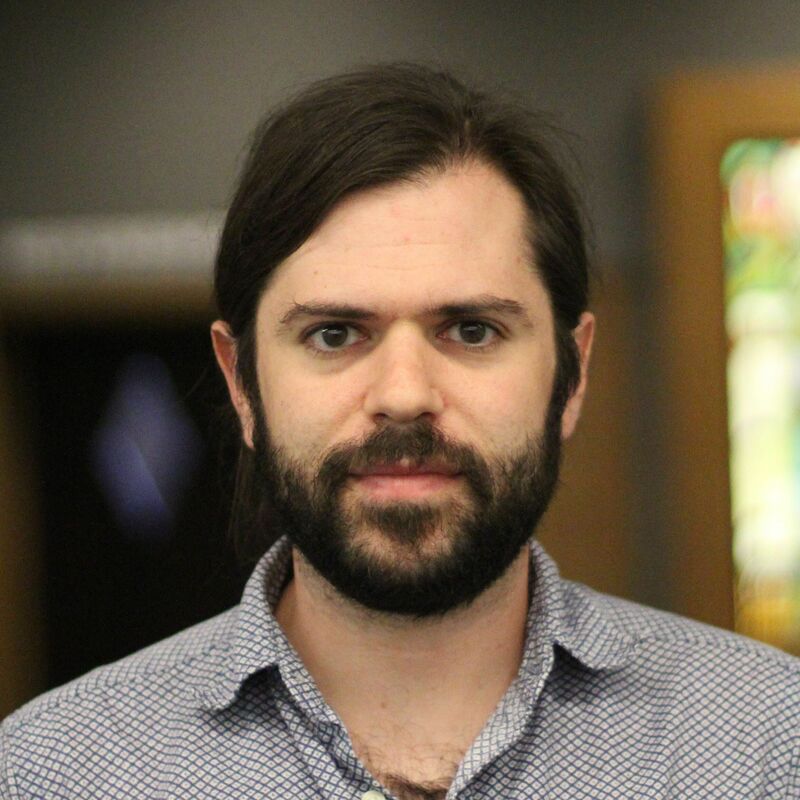 He studies religious hybridity, translation, and cultural contact in the Hispanic world. 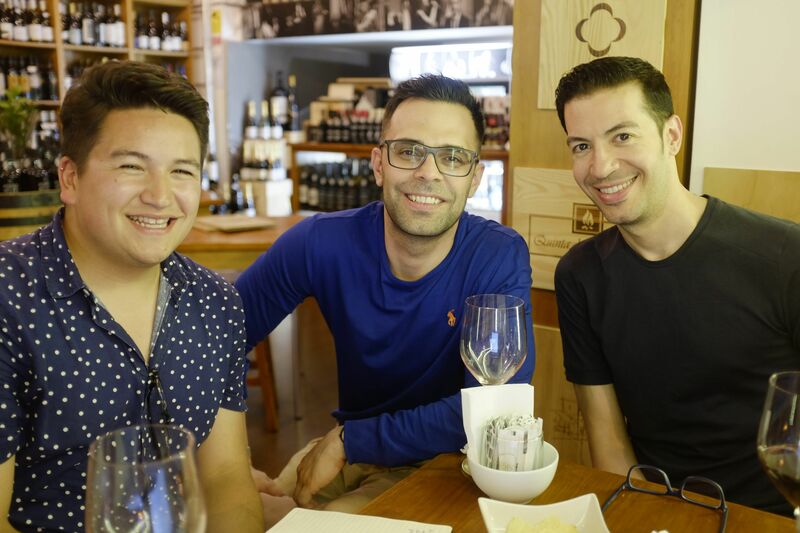 For the Afrikaans-Argentine Collaboratory project, he is using humanistic social sciences methods to analyze references to sociocultural identity in the South-African Argentine community. 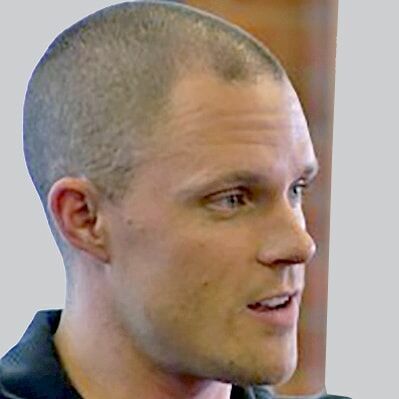 Brady West is a Research Associate Professor in the Michigan Program in Survey Methodology, located within the Institute for Social Research. Brady has also served on the Executive Council of the American Association for Public Opinion Research (AAPOR) and also on the Technical Advisory Committee of the Bureau of Labor Statistics. 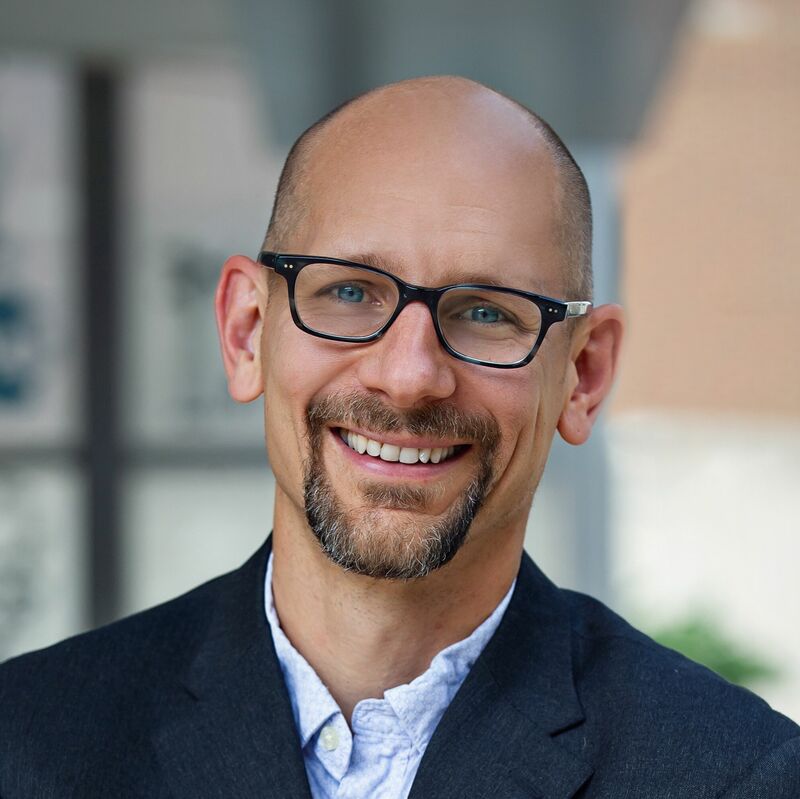 Within the Collaboratory, Brady serves as a statistical consultant on all empirical projects, and is also the primary research advisor to our GSRA Micha Fischer. Dom is a Linguistics graduate student who studies phonetics and language variation. Within the scope of the Collaboratory, Dom has been working on lenition in Spanish-Afrikaans bilingual speakers. He works collaboratively between the faculty and undergraduate student teams in coordinating the linguistic analysis and in developing a project-specific research tutorial for the data analysis in Praat and R.
Myrna is a PhD candidate in Psychology (Cognition and Cognitive Neuroscience), and is currently working with Dr. Lorenzo García Amaya and Dr. Nick Ellis in a project investigating the acquisition of Spanish grammar through captioned media Her research interests broadly focus upon issues of Second Language Acquisition and Applied Linguistics. Within the scope of the collaboratory, she has been working as the Logistics Manager on the Linguistics strand of project. 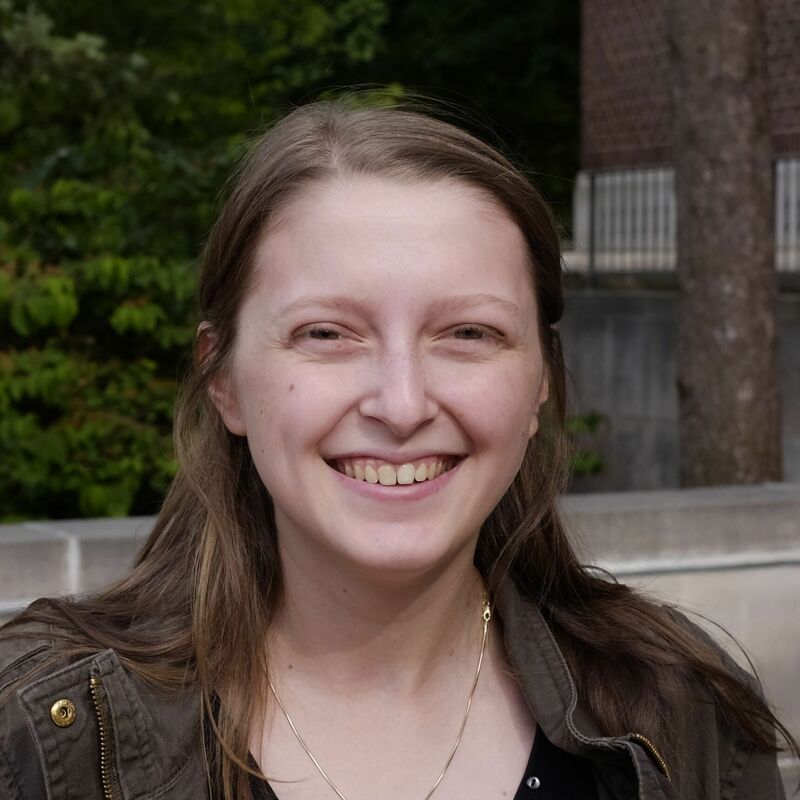 Micha Fischer is a third-year PhD student in the statistical emphasis of the Michigan Program in Survey Methodology. His research interests include approaches to handling missing data, measurement errors, and predictive modeling. 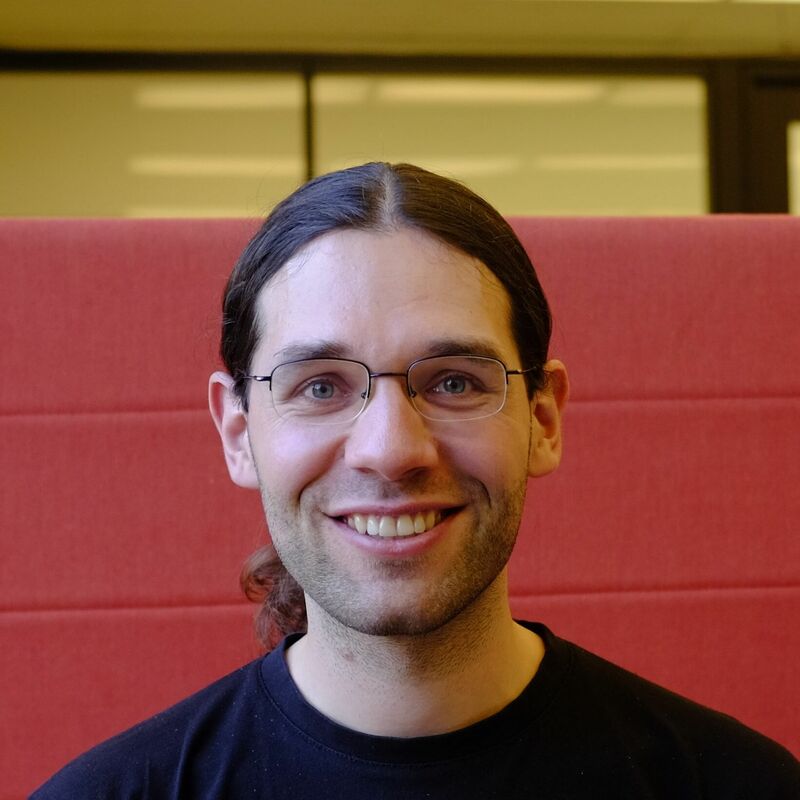 In his dissertation, Micha evaluates a new method for imputation of missing data in high-dimensional data sets. 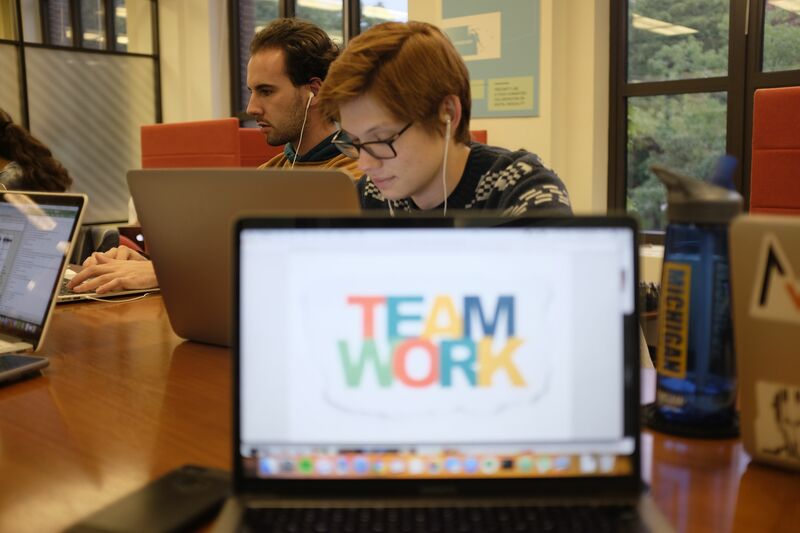 Within the Collaboratory, Micha collaborates with Lorenzo, Nick, Myrna, and Brady to provide statistically-sound analyses and data visualization of all empirical findings. 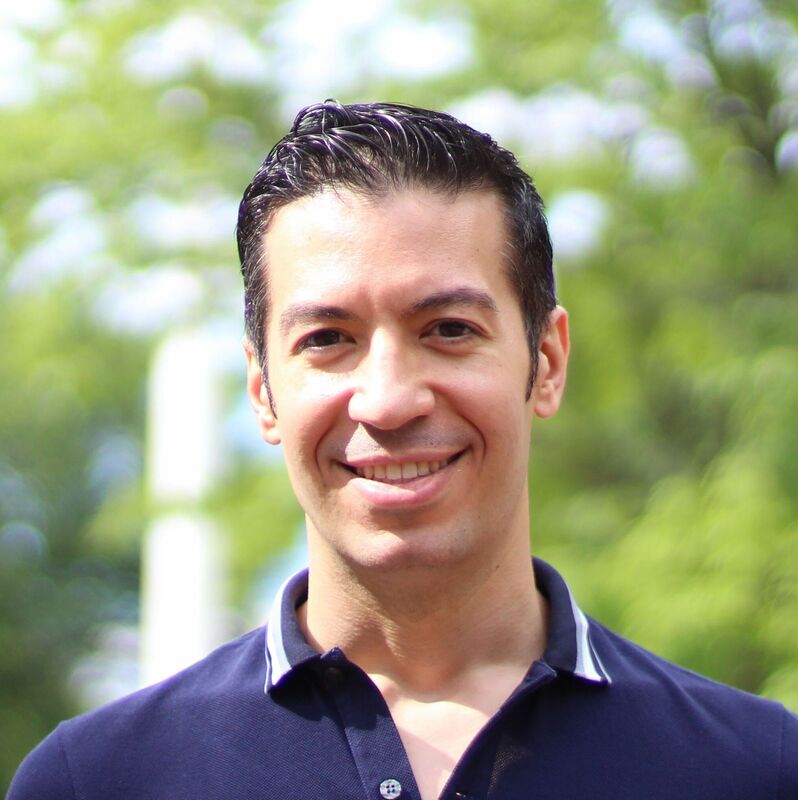 Juan Leal-Ugalde is a recent Ph.D. in Romance Languages and Literatures (Spanish) at the University of Michigan. He defended a dissertation entitled The Enigma of Time and History: Images of Death in Revolutions and Armed Conflicts of the Twentieth Century in Mexico and Central America. Connecting photography and literature, he analyzes the historical violence of modern revolutions and their political and social consequences in present times. Currently, he works as a Post-doctoral associate at the University of Michigan. 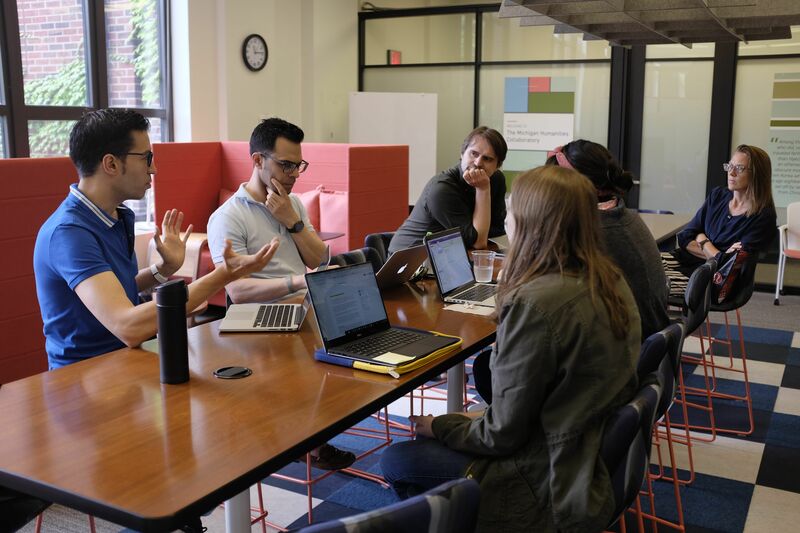 Within the scope of the Collaboratory, Juan works collaboratively with Ryan, Josh, Myrna, and all faculty to transcribe and analyze the content of the sociocultural interviews collected during the 2018 fieldwork trip. 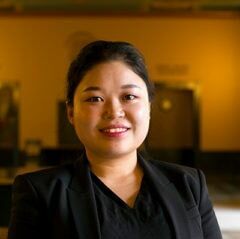 Jiseung is a Linguistics graduate student who studies phonetics and prosody. She is currently working on her dissertation on the production and perception of American English prosody. 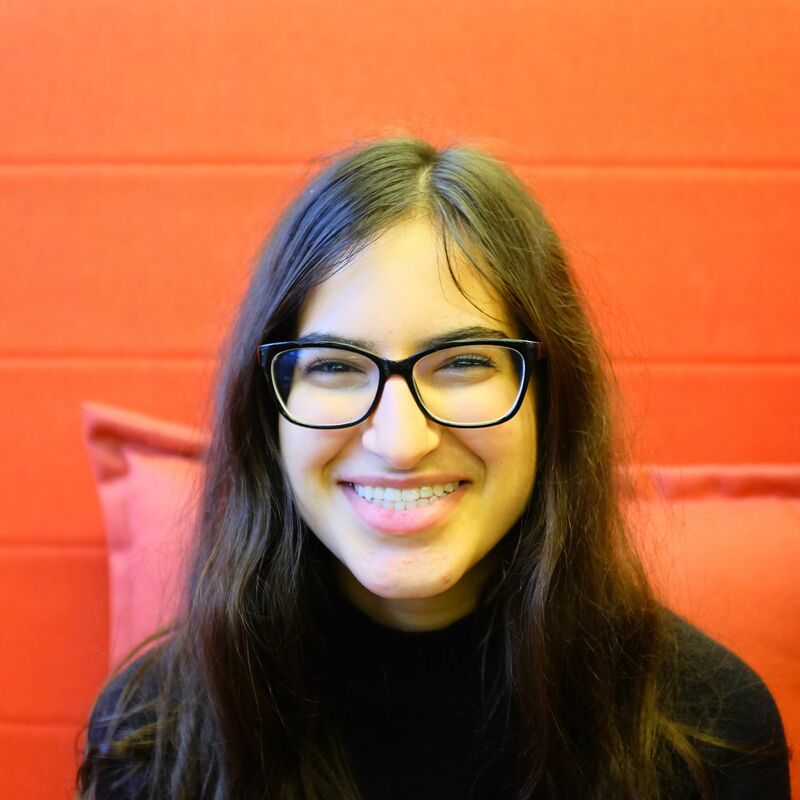 For this project, she works collaboratively between the faculty and undergraduate students in the phonetic analysis of /p t k b d g/ in Spanish and Afrikaans corpora. She also works on Afrikaans monolingual speakers' production of the /k/+V sequence. 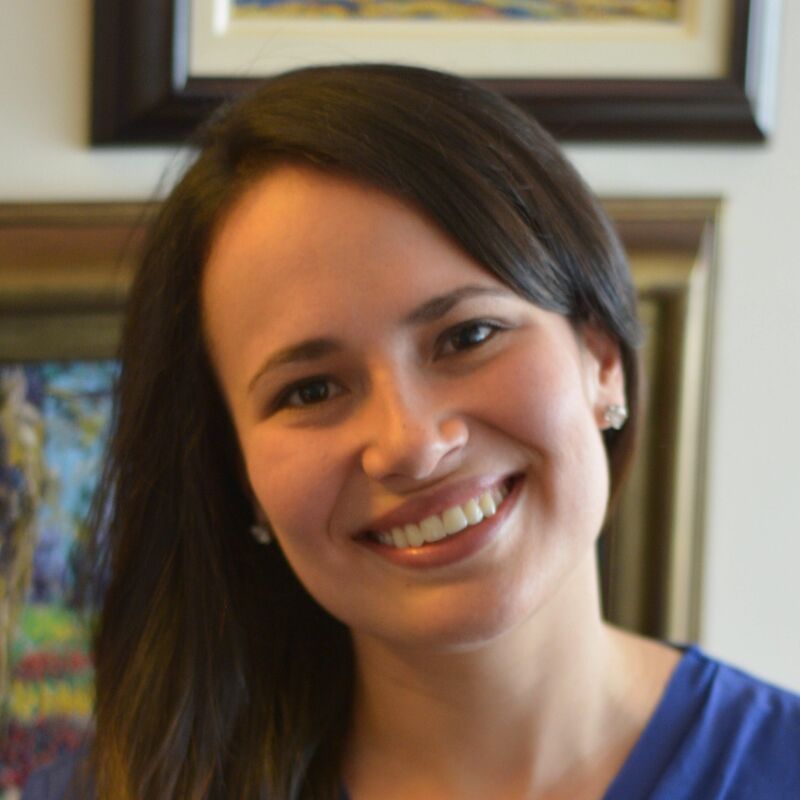 Michela Russo holds a Ph.D. in Political and Theoretical Philosophy from the Italian Institute of Human Science (SUM – Naples, Italy), and she is pursuing a second Ph.D. in Latin American cultural studies at the Texas A&M University. Her dissertation The Return of the Popular: Crisis of Imaginaries and Imaginaries of Crisis in Contemporary Bolivia, is a study of the current Bolivian democratization process between politics and aesthetics. Currently, she works as a Lecturer I of Spanish and Italian at the University of Michigan. 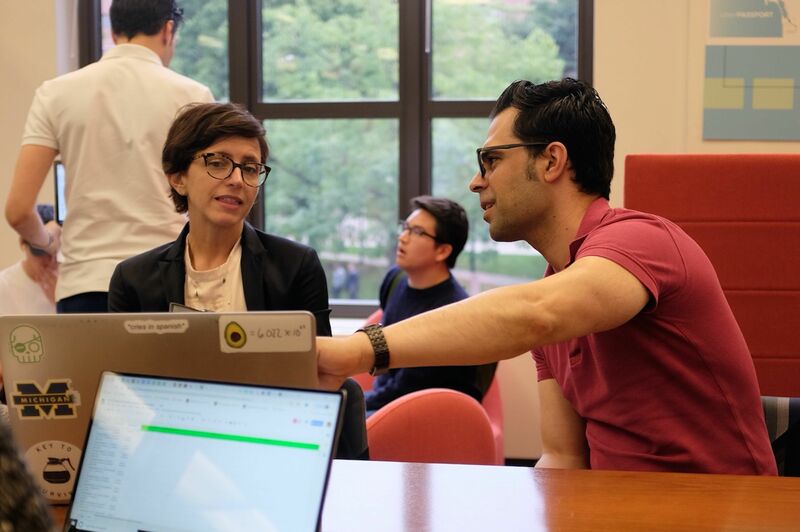 Within the scope of the Collaboratory, Michela works collaboratively with Ryan, Josh, Myrna, and all faculty to transcribe and analyze the content of the sociocultural interviews collected during the 2018 fieldwork trip. Joshua is a recent PhD in Linguistic Anthropology at the University of Michigan. 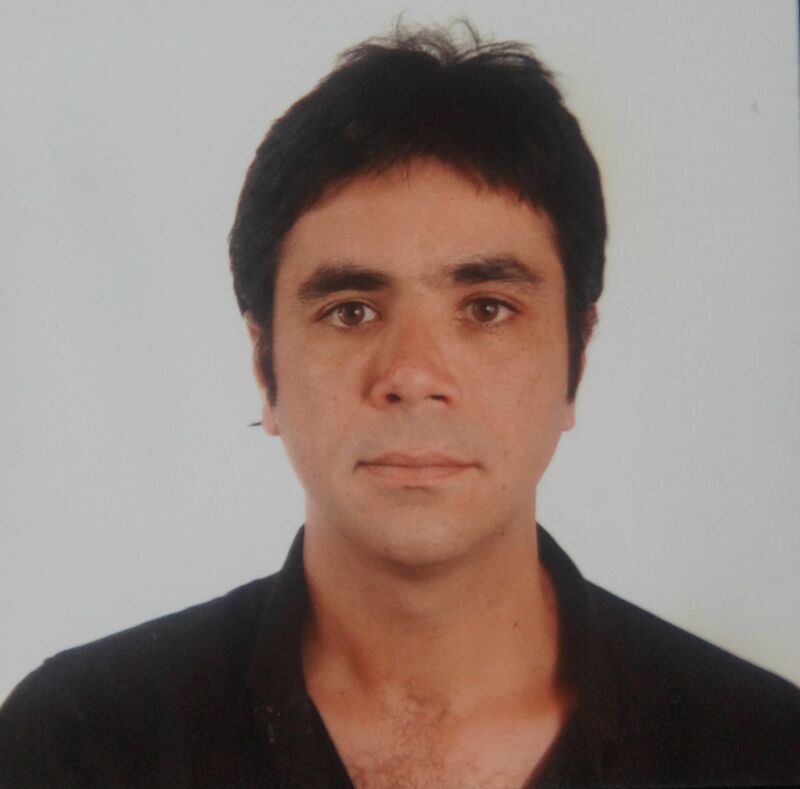 His work draws on mixed methods, combining ethnographic, grammatical, and experimental research among Ancash Quechua speakers in the central Peruvian Andes to study mechanisms of interconnection among language, environmental practice, and cognition. For the Afrikaans-Argentine Collaboratory project, he works collaboratively with all the faculty members to analyze references to sociocultural identity in the South-African Argentine community. Ana M. Silva holds a PhD in History from the University of Michigan. Her research focuses on the formation of racialized forms of rootedness and belonging in the Spanish Caribbean during the early modern period. For the Afrikaans-Argentine Collaboratory project, she works collaboratively with faculty (Paulina and Nick especially) and undergraduate student members (Ellie especially) to analyze references to sociocultural identity in the Argentine-Afrikaans community. 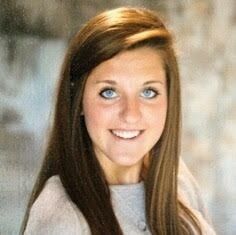 Hallie is a sophomore at Michigan, pursuing a BA in Biology and minor in Spanish. Her past research includes the examination of pre-palatal fricatives and sound change in Andalusian Spanish (spoken in southern Spain). 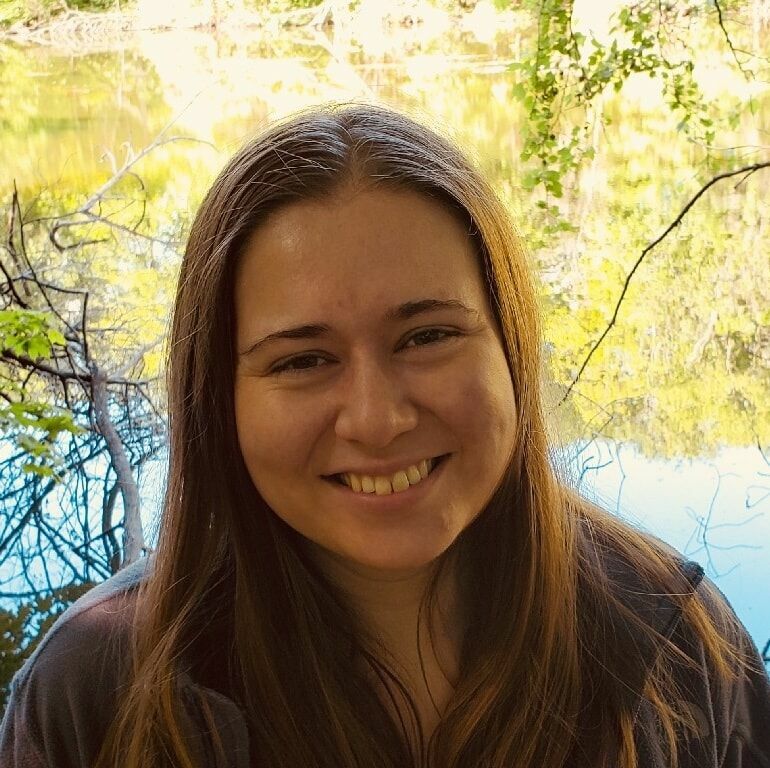 For this project, she works collaboratively with Colleen to ensure consistency and maintain quality in the analysis of /p t k b d g/ in the bilingual corpus. 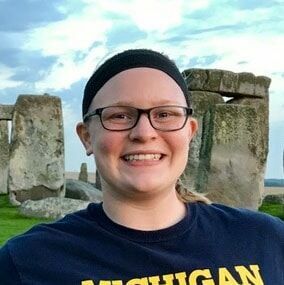 Callie graduated in April 2018 with a BA in Spanish and a BS in Biomolecular Science, and spent 6 weeks abroad in Salamanca, Spain during her second summer at Michigan. In the future, she plans to pursue a graduate program in medicine. 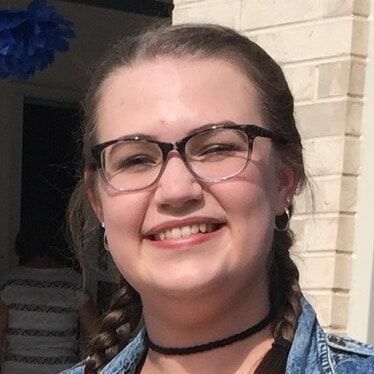 For this project, she works collaboratively with Michael, Jiseung, Tony, Austin, and Sarah to analyze the bilingual production of /p t k b d g/ in Praat. 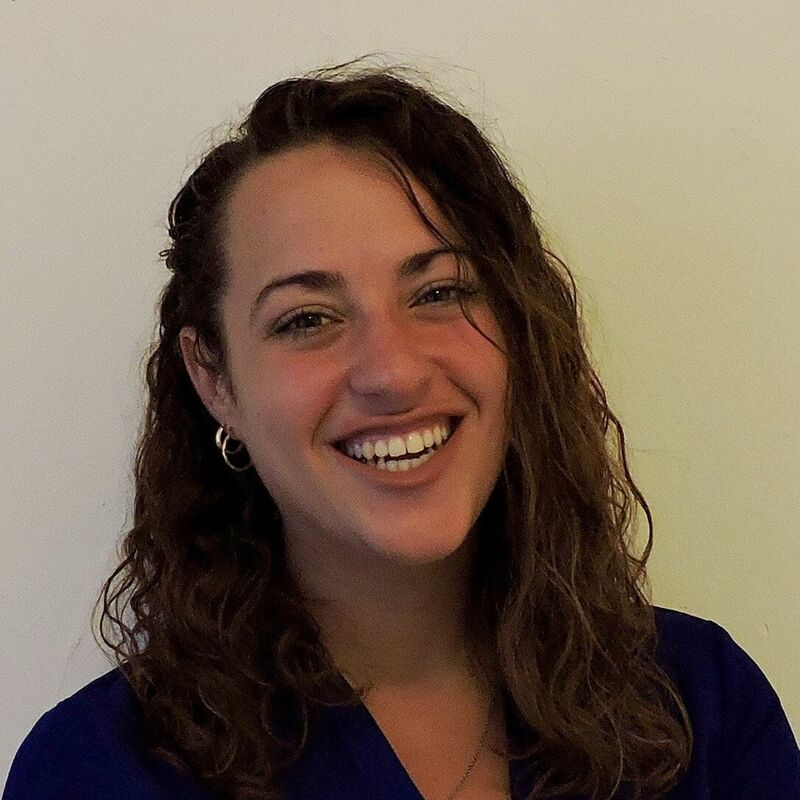 Colleen graduated in April 2018 with a BA in Spanish and a minor in Biochemistry. Her past research includes the examination of pre-palatal fricatives and sound change in Andalusian Spanish (spoken in southern Spain). 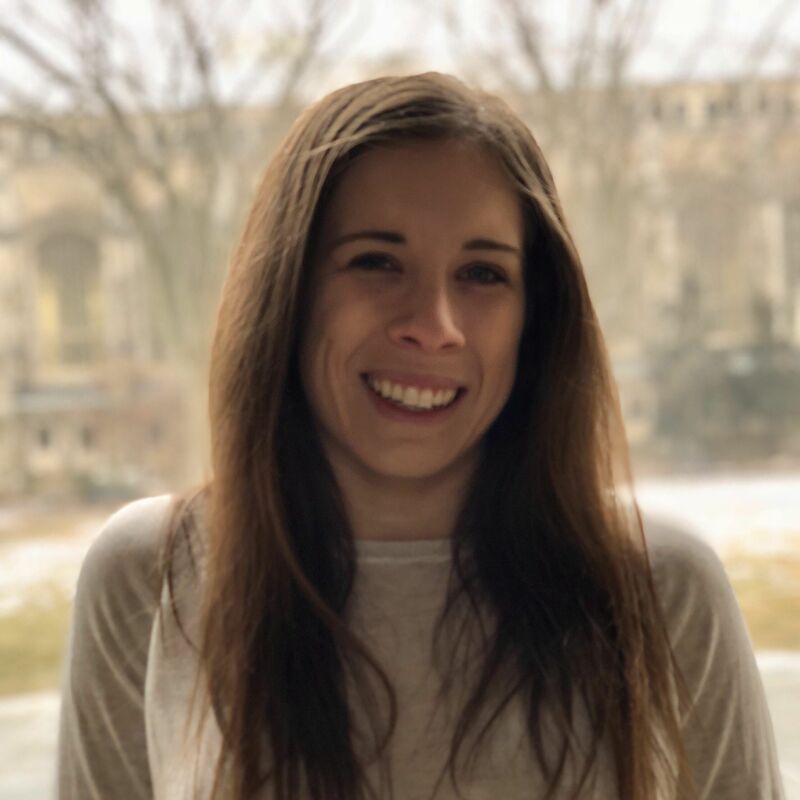 For this project, she works collaboratively with Hallie to ensure consistency and maintain quality in the analysis of /p t k b d g/ in the bilingual corpus. Ashley is a junior double majoring in Computer Science & Spanish. In the future she plans to attend graduate school for Bioinformatics and potentially move to Spain. For this project, she works as the team’s tech consultant to maintain and update the website. Toph is a recent graduate of the University of Michigan (’18) with French and Spanish specializations in Romance Languages and Literatures. His past research includes acoustic analysis focused on second and third language phonological acquisition of French and Spanish. 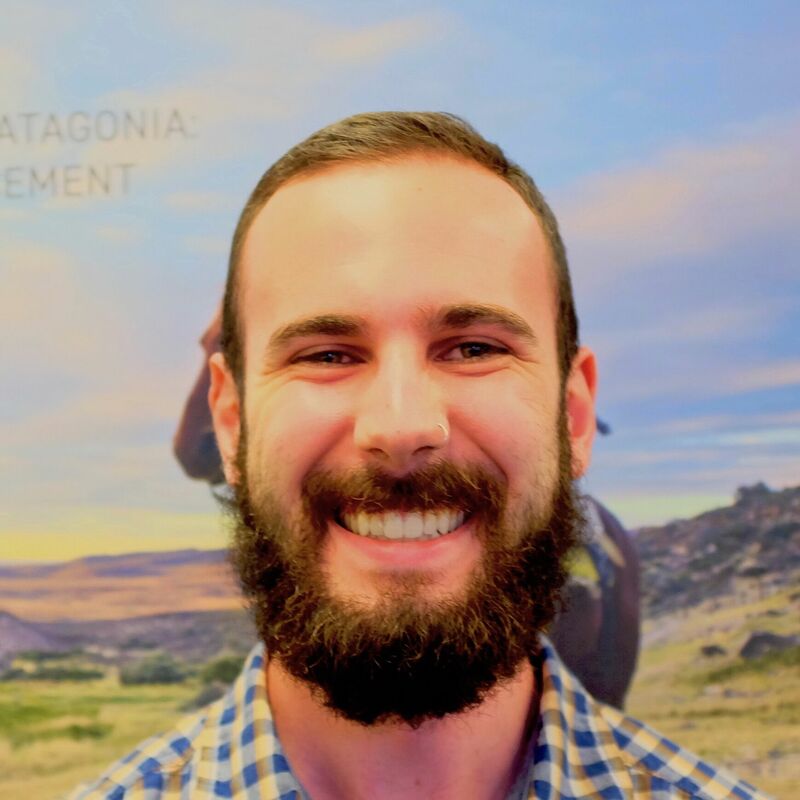 Within the Collaboratory, Toph works as a main writer and editor, often using those skills to contribute to monthly email updates. 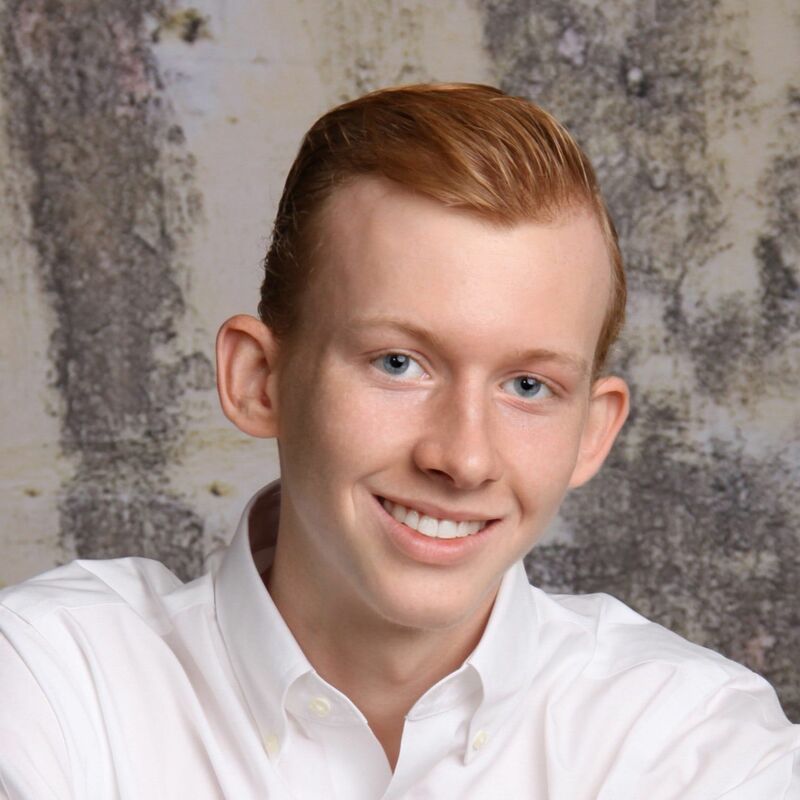 Ian is a rising senior in LSA’s Residential College, and is completing majors in Spanish and Cognitive Science. He is working with Professor García-Amaya on the acquisition of a second language Spanish, making use of his knowledge of both Spanish linguistics and cognitive psychology. In this project, he collaborates on the linguistics and sociocultural components as an editorial assistant. 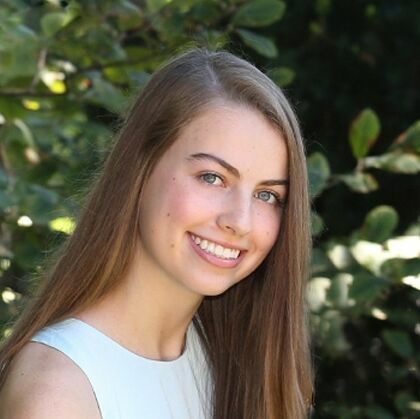 Ella is a recent graduate of the University of Michigan, planning on pursuing graduate studies in linguistics. Ella is specifically interested in Spanish phonetic research. She and Liliana work collaboratively to analyze the front vowels /ɛ e/ of the bilingual speakers. 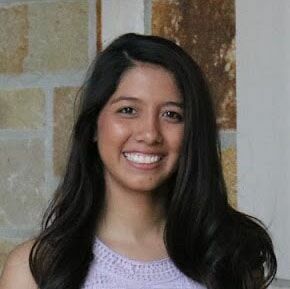 Liliana is a recent graduate, and next fall will be attending Indiana University to obtain her master's degree in Speech-Language Pathology. Literacy development is a strong interest of hers and she would like to conduct further research on The Word Gap. She and Ella work collaboratively to analyze the front vowels /ɛ e/ of the bilingual speakers. 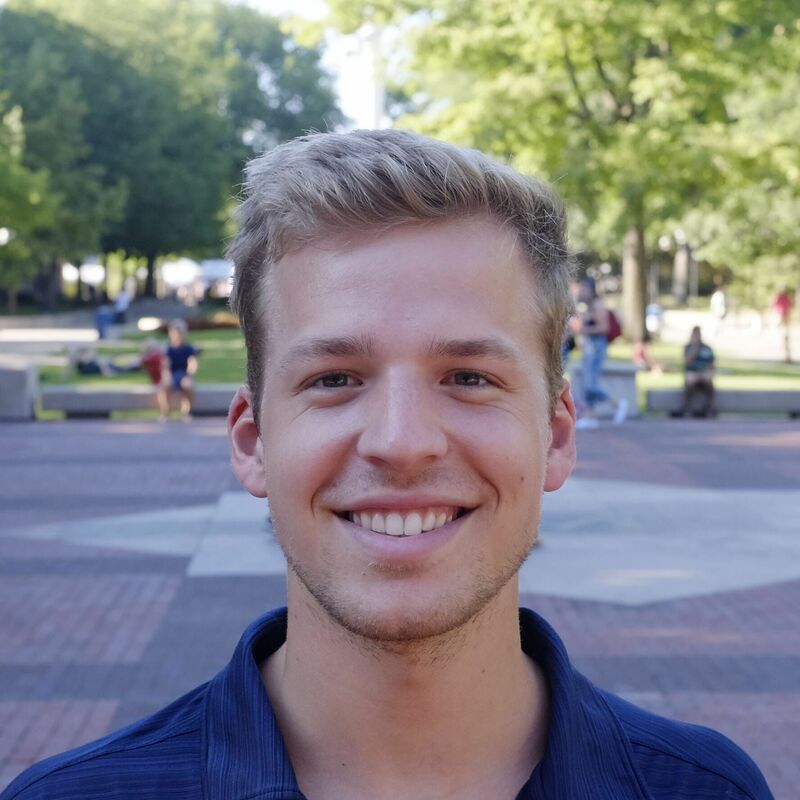 Austin graduated in April 2018 with a BA in Spanish and a BS in Chemistry, and spent four months abroad in Granada, Spain during his third year at Michigan. In the future, he plans to pursue a graduate program in medicine. 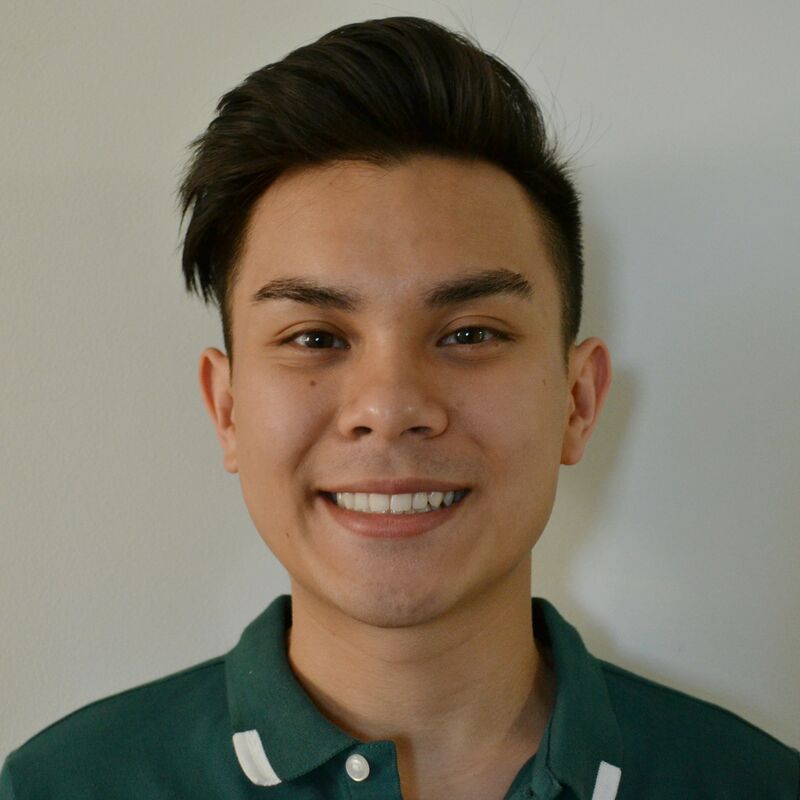 For this project, he works collaboratively with Michael, Jiseung, Tony, Callie, and Sarah to analyze the bilingual production of /p t k b d g/ in Praat. Mallory is a recent graduate of the University of Michigan with degrees in Linguistics and Spanish. 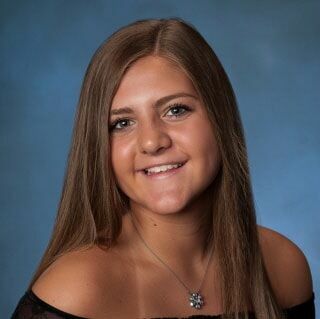 In the future she plans to pursue a graduate program in either Speech-Language Pathology or Clinical Mental Health Counseling. She and Claire work collaboratively to analyze the back vowels /a o c/ of the bilingual speakers. 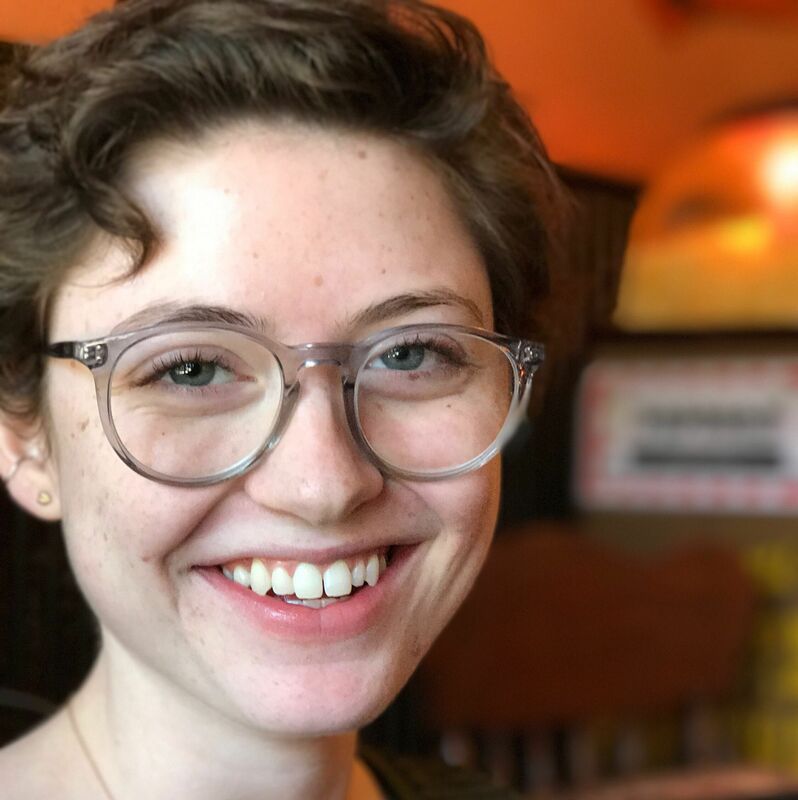 Libby is a recent graduate of the University of Michigan and currently works as the Lab Manager for the UMich Speech Production Lab. In the Collaboratory she coordinates the Spanish fluency analysis for both monolingual and bilingual speakers. She also conducts phonetic analysis on /kə/ contexts for the Afrikaans speakers. Courtney is a first-year student at Michigan majoring in Computer Science, with minors in Spanish and Music. Within the Collaboratory, she works collaboratively with Ella, as her research mentor, to mark hesitation phenomena in Afrikaans and Spanish. Katie is a senior pursuing a double major in Linguistics and Spanish, with a minor in English Language & Literature through LSA. Within the Collaboratory, she works with Nick and Lorenzo to increase the lab’s social-media presence. Outside of the lab, she is a co-director of RhythM Tap Ensemble, a member of Dance Mix Core, and a member of the Undergraduate Linguistics Club. Breanne is a junior at the University of Michigan pursuing degrees in Economics and Spanish. In the future, she plans to complete an MBA and become involved in international business. For this project, she works collaboratively with Jiseung, Tony, Sarah, and Eliot to analyze the bilingual production of /p t k b d g/ in Praat. Ellie Johandes is a sophomore in LSA majoring in Cellular and Molecular Biology and Biomedical Engineering, with a minor in Spanish. 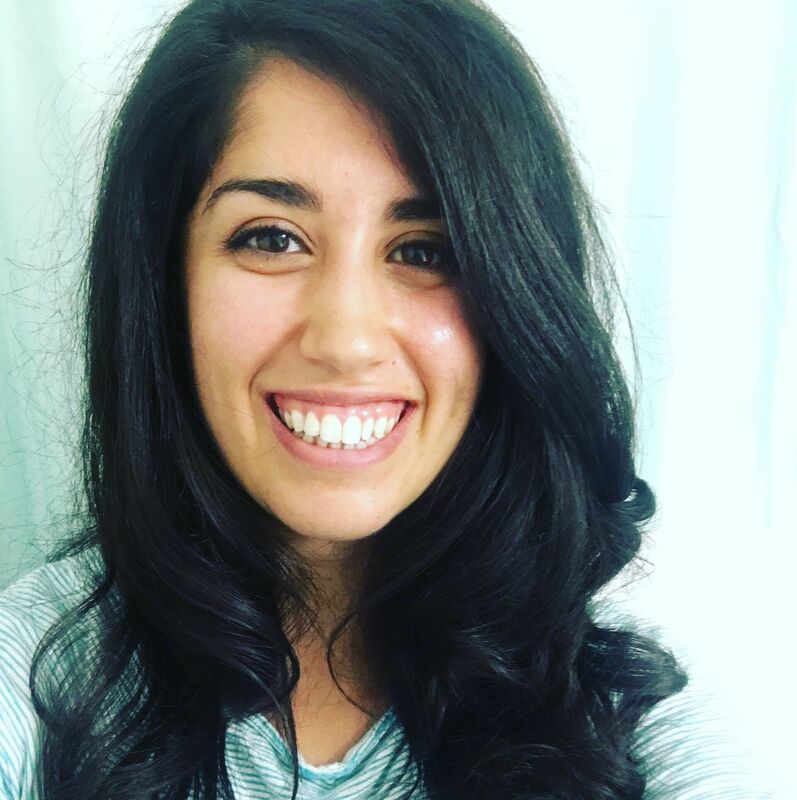 For this project, she works as the primary undergraduate sociocultural analyst, and collaborates with Josh, Ryan, Andries, Paulina, Lorenzo, Nick, and Myrna. In addition, Ellie curates the project's digital archive (https://aacollabarchive.humin.lsa.umich.edu/omeka/). 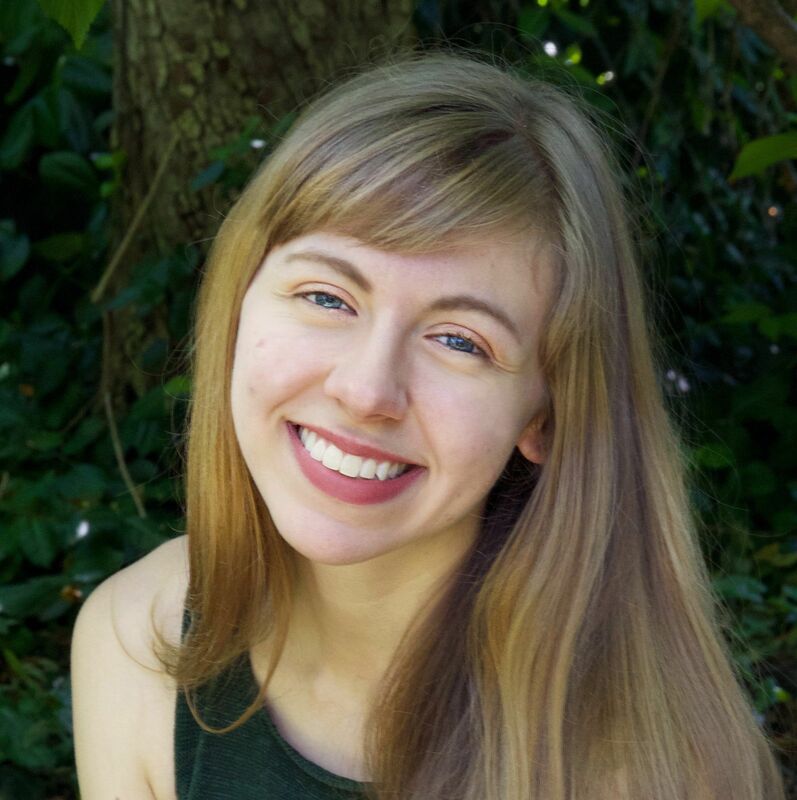 Kelly is a senior majoring in Cognitive Science (with an emphasis in Language and Cognition) and Romance Languages and Literatures. After graduation, she plans on pursuing a PhD in Linguistics, focusing on second language acquisition and attrition. In this project, she collaborates with all faculty members as an editor to prepare manuscripts for publication. 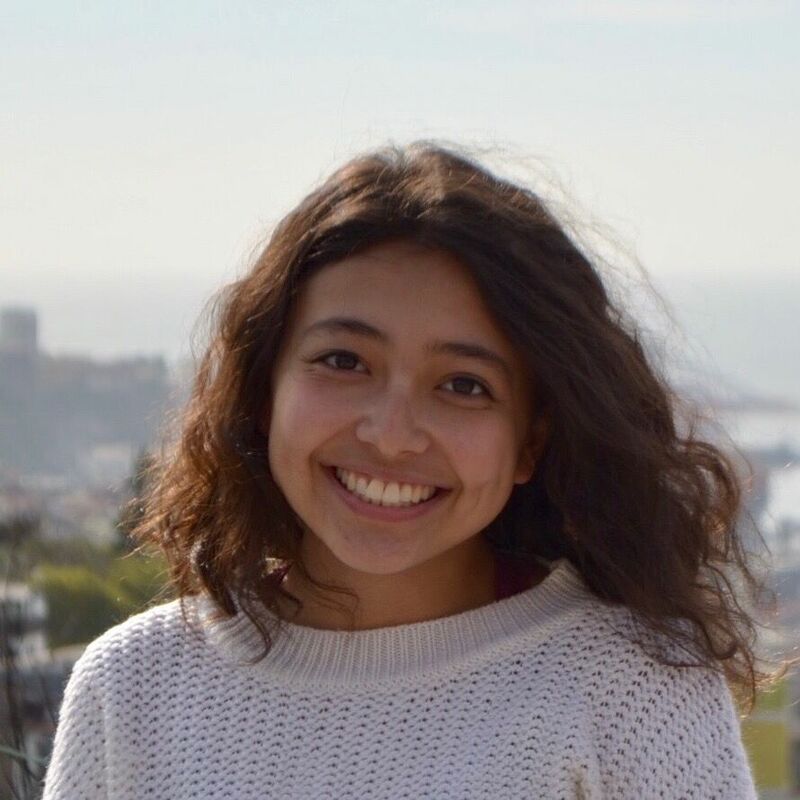 Lydia is a senior in LSA, double majoring in Biopsychology, Cognition & Neuroscience and Spanish, with a minor in Community Action and Social Change. Lydia has also worked as a part of the Emotion and Self-Control lab in Psychology. In our project, she works collaboratively with Annika, Sarah, and Ellie to study the sociocultural identities of the Patagonian-Afrikaans speakers. Claire just graduated (April 2017) with a BA in Spanish and Linguistics. Her past research involves analyzing the speech patterns of Andalusian Spanish. She and Mallory work collaboratively to analyze the back vowels /a o c/ of the bilingual speakers. 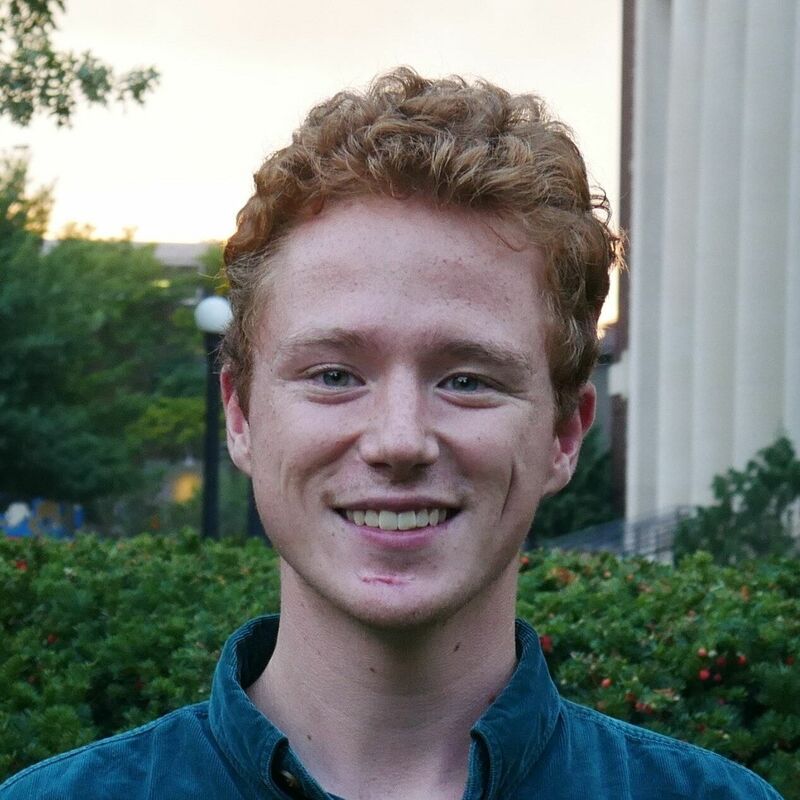 Sean is a rising junior at the University of Michigan. Sean also works in a neuroscience lab, writes for The Michigan Daily, plays for Magnum Ultimate, and is Vice President of his professional fraternity, Phi Sigma Pi. For this project, he works collaboratively with Libby, Moiz, and Lorenzo to mark hesitation phenomena while transcribing speech. 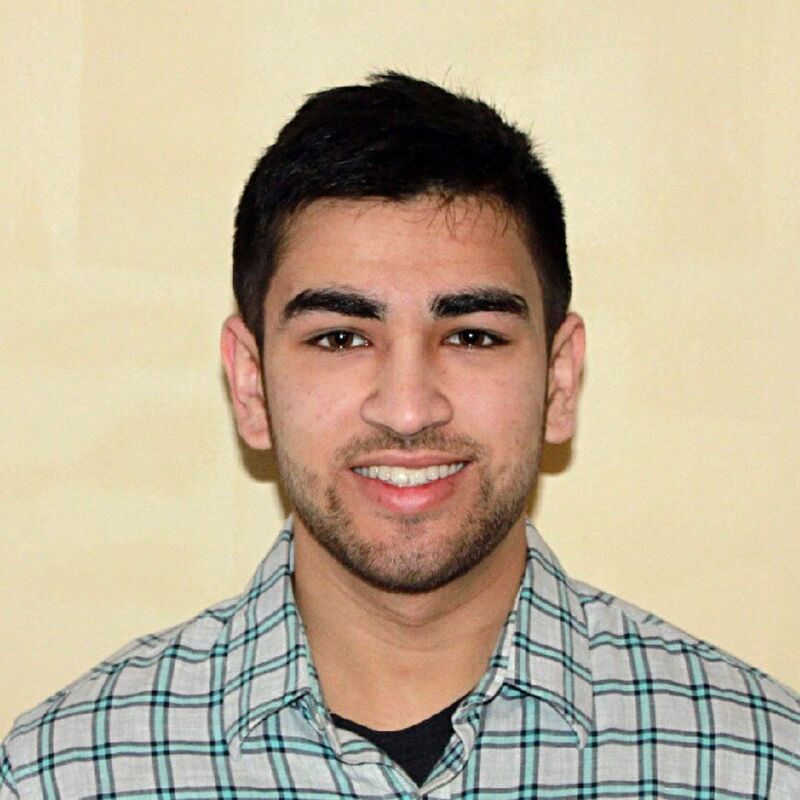 Moiz is a rising sophomore in LSA, majoring in Linguistics and Computer Science. For this project, he works collaboratively with Libby, Sean, and Lorenzo to mark hesitation phenomena while transcribing speech. Brysyn is a first-year student and a member of the LSA Residential College. 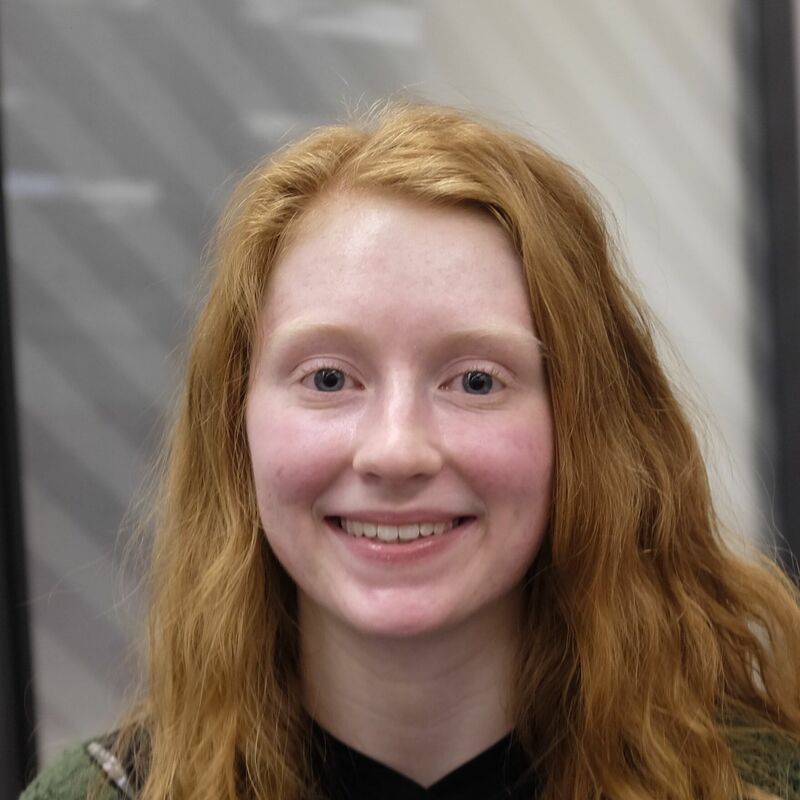 She plans to major in Spanish or English as a Second Language (TESL), as she hopes to pursue a career in teaching these subjects. Within the Collaboratory, she works collaboratively with Ella, as her research mentor, to mark hesitation phenomena in Afrikaans and Spanish. 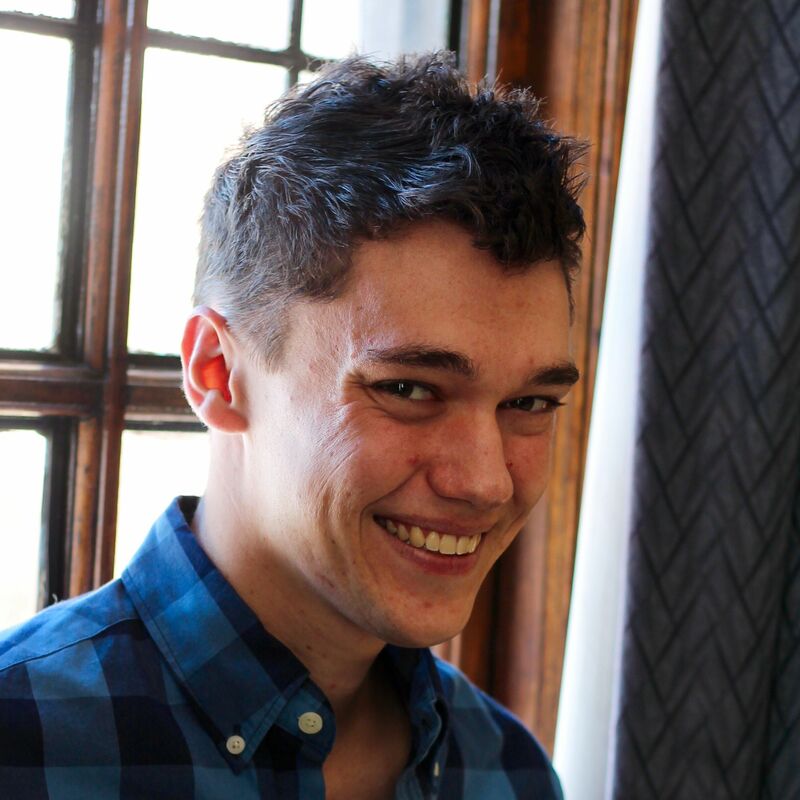 Sean is a Senior double-majoring in Screen Arts & Cultures and Anthropology. He utilizes his film making skills as the lab's videographer. He has directed, edited, and shot videos for the Michigan Daily and Michigan News. In addition, he has shot and edited a short documentary film called "What Good Can Come From Bad TV?" and co-directed and assisted editing for the feature-length documentary, The Big House, which premiered in Berlin in 2018. Sean's role in the lab is to create videos documenting the lab's research in an effort to promote the lab's exciting and meaningful work to the public. 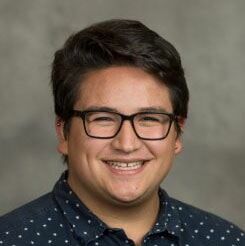 Matthew is a first-year student in LSA Honors, intending to major in Political Science and Spanish. Within the Collaboratory, he is working collaboratively with Sean and Austin to mark hesitation phenomena of the monolingual Spanish and bilingual Spanish-Afrikaans speakers. 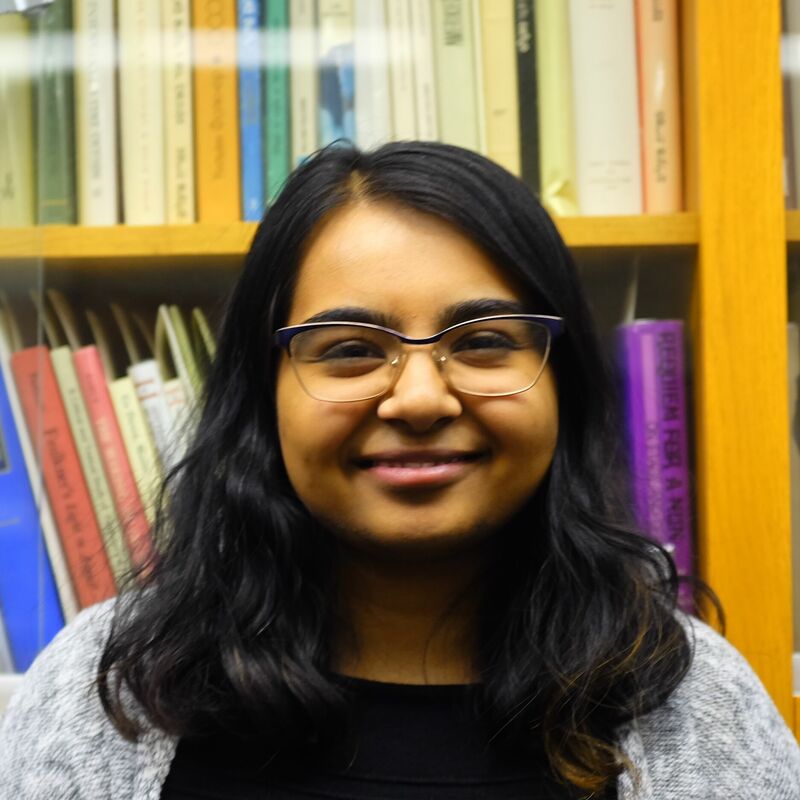 Aditi is a first-year student in LSA planning on majoring in Spanish and, in the future, attending medical school. Within the Collaboratory, she works collaboratively with Ella, as her research mentor, to mark hesitation phenomena in Afrikaans and Spanish. Alexandria is a first-year student in LSA, planning to double major in Neuroscience and Spanish. Her goal is to attend medical school, where she intends to specialize in oncology. 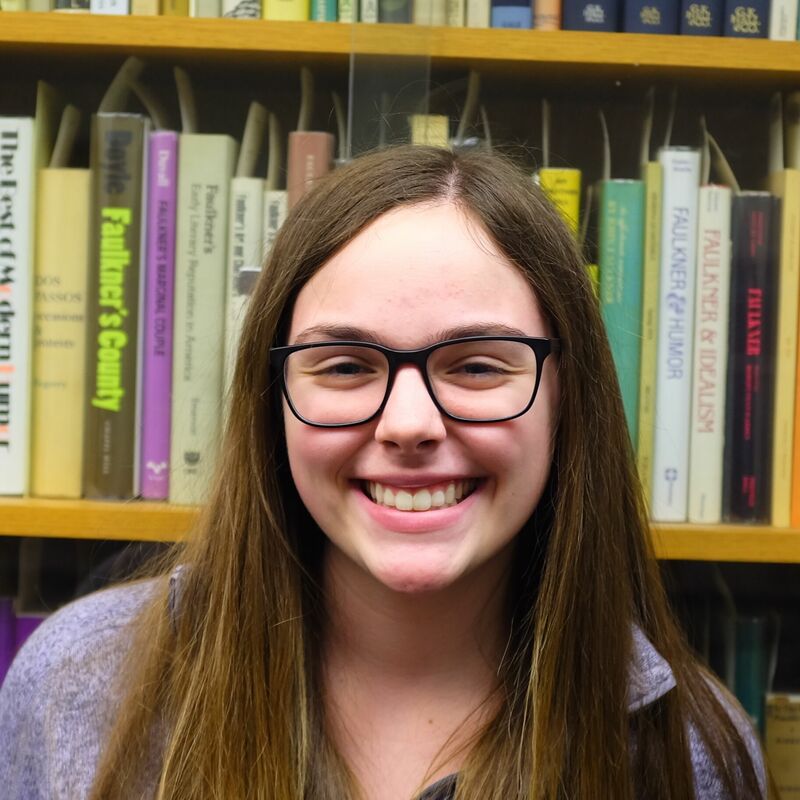 In the Collaboratory, Alexandria has been studying hesitation phenomena in Afrikaans speech with Ella, and also collaborates with Sean Lang to generate results for his Honors thesis. 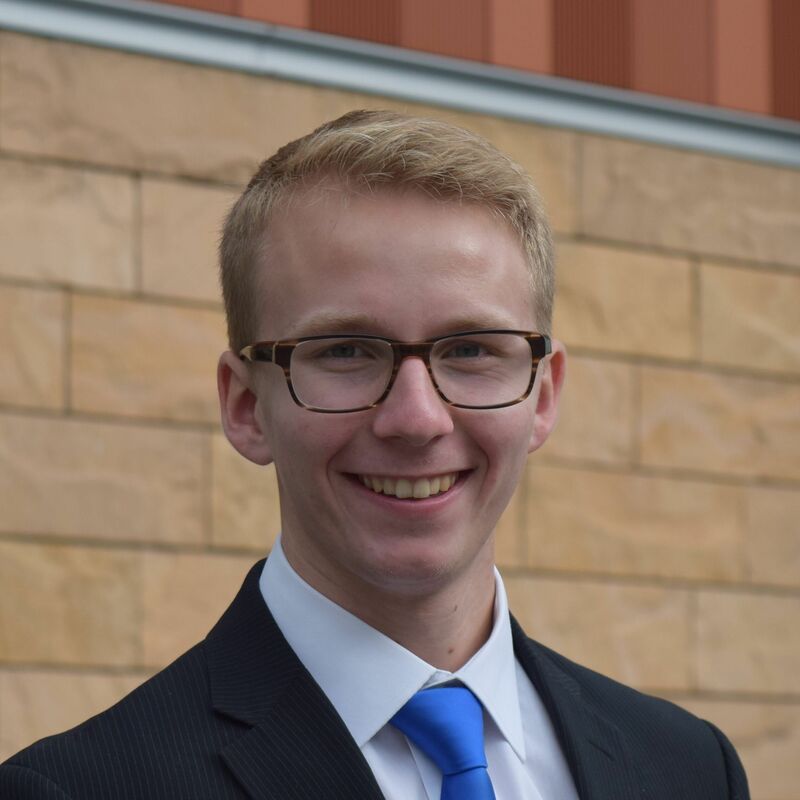 Eliot Sollinger is a freshman at the University of Michigan and is majoring in Economics with a minor in Spanish. In this project, he works collaboratively on phonetic analysis to analyze the consonants of p/t/k and b/d/g of bilingual speakers. 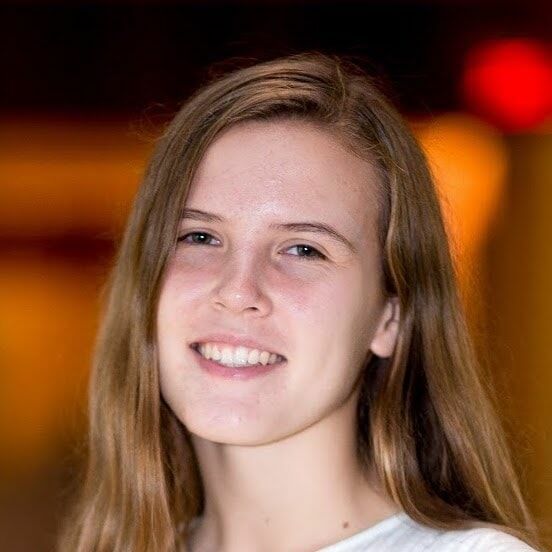 Annika is a junior in LSA majoring in Linguistics and Spanish. 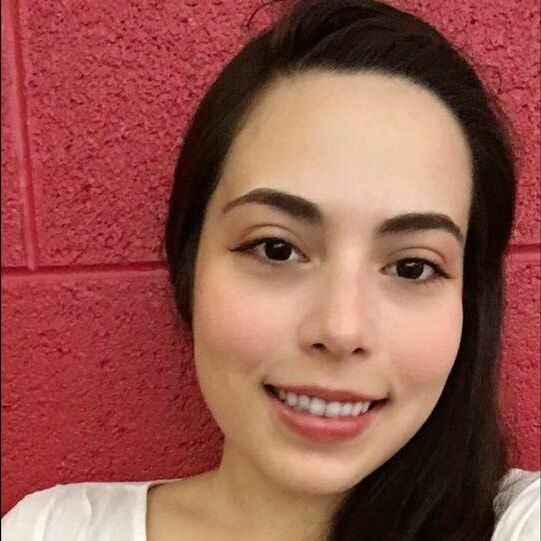 For this project, she works on the linguistic analysis of /ptkbdg/, and also as a sociocultural analyst, focusing on the 2018 interview corpus and collaborating primarily with Josh, Nick, Michela, and Juan. 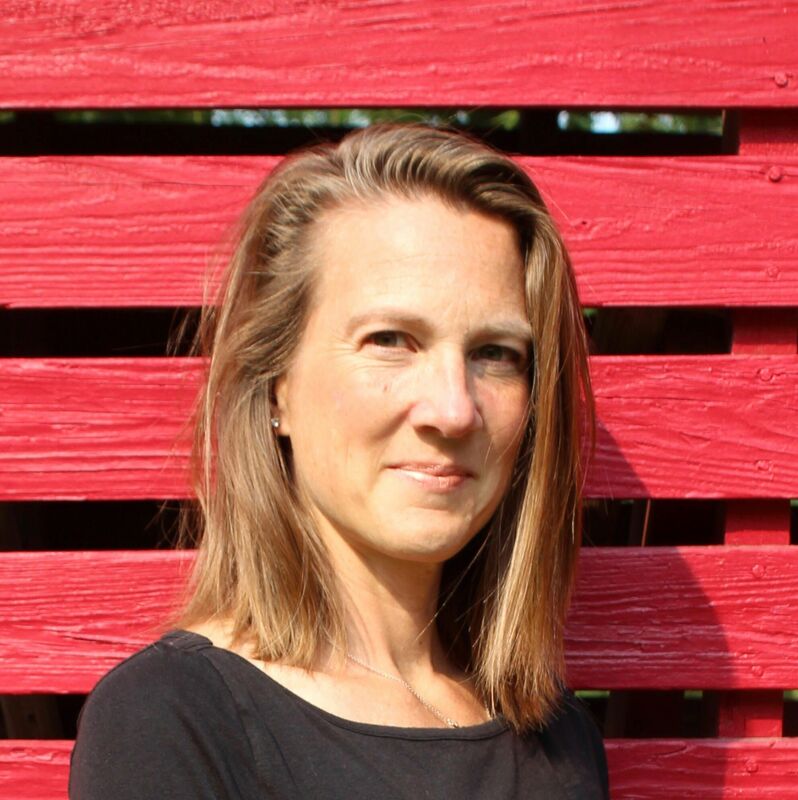 In addition, Annika helps to curate the project's digital archive (https://aacollabarchive.humin.lsa.umich.edu/omeka/). Samantha is graduating in 2020 with a degree in International Studies and Spanish. In the future she plans to attend medical school, potentially in neurology. 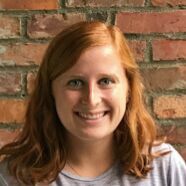 In this project, Samantha works on the public-relations team to publish monthly emails that are sent to more than 2,000 members of the Michigan community. 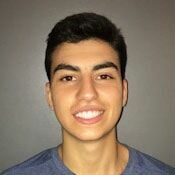 Tony is a sophomore at the University of Michigan, pursuing degrees in Microbiology and Spanish. In the future he plans to attend medical school to become a dermatologist. For this project, he works collaboratively with Jiseung, Sarah, Breanne, and Eliot to analyze the bilingual production of /p t k b d g/ in Praat. 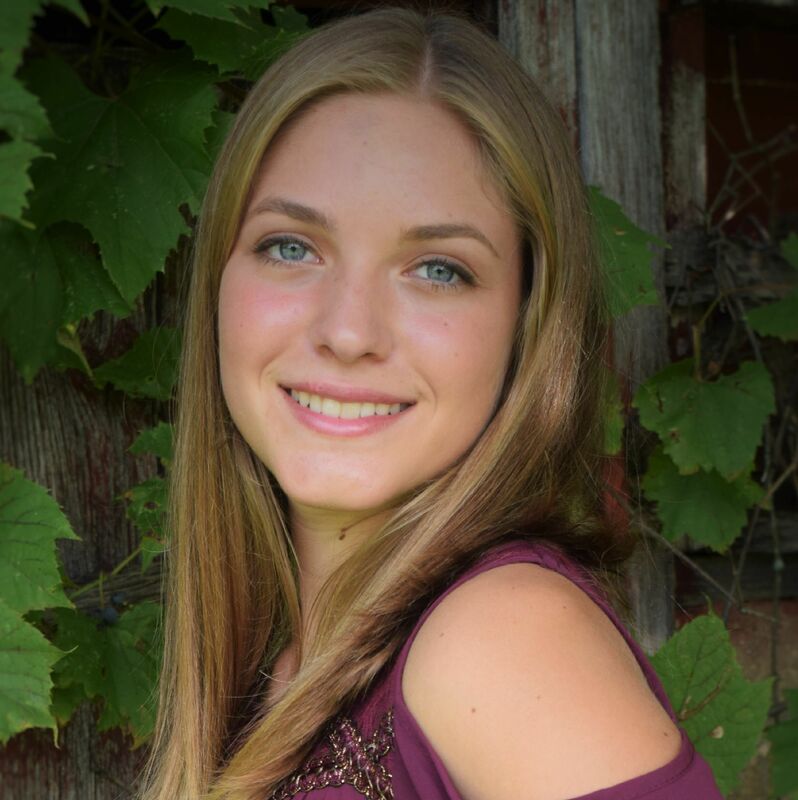 Sarah is a junior at the University of Michigan, pursuing degrees in Cellular & Molecular Biology and Spanish. In the future, she plans to attend medical school to become a surgeon. For this project, she works collaboratively with Jiseung, Tony, Breanne, and Eliot to analyze the bilingual production of /p t k b d g/ in Praat. 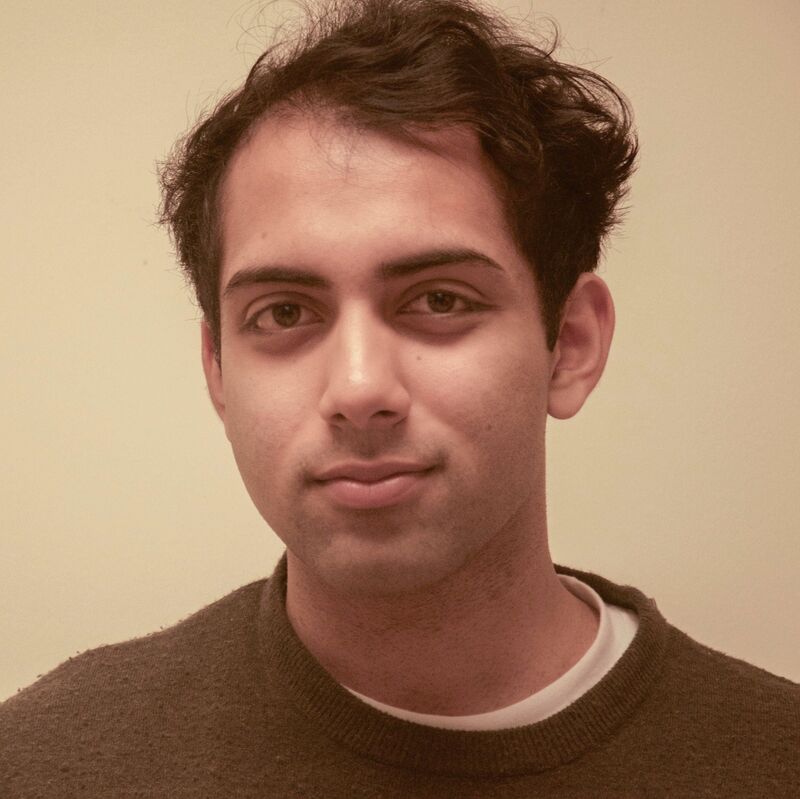 Ishan is a senior at the University of Michigan who is majoring in Computer Science. 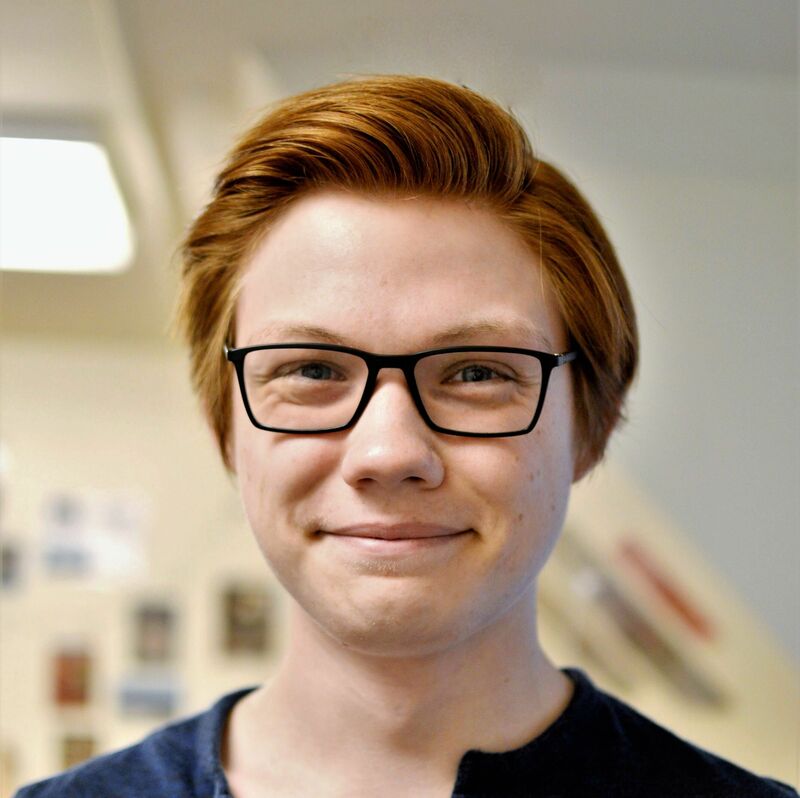 He is using his web development skills to construct a website for the collaboration, and is learning a lot about linguistics and sociocultural analysis along the way. Michael is a Junior in the Residential College at the University of Michigan who is majoring in Romance Languages and Literatures and minoring in Chinese Language, Computer Science, and Translation Studies. On this project, he is working on the phonetic analysis of Afrikaans and Spanish speakers. When he’s not assisting Lorenzo and Nick in the lab, he enjoys playing violin and viola in the Michigan Pops Orchestra and teaching English as a second language with organizations such as Freedom House and the Michigan Language Center.